Rosewood VS Maple fingerboard RosewoodMapleHow do I choose a fretboard type? One of the very common questions is how different types of necks and fretboard materials affect the sound and the playing of the guitars. There are several types of wood used for making a guitar, with maple and rosewood being two of the most popular for fretboards. In this article we’re going to analyze the most popular types of necks in today’s guitar world: maple and rosewood. If you want to see the main differences between the two, and how these types of wood affect your playing, sound, aspect and maintenance, you will find below the most essential facts and important features of the two categories compared. Both types of woods have been used for decades for some of the most iconic brands in the guitar manufacturing industry – Gibson, Fender, Epiphone, etc. Opinions and advice can vary, and can be subjective, but after you know the general agreed upon facts, you can make a much easier decision in picking or replacing a neck that will fit your playing style, sound and music genre. The rosewood is very durable. The necks that feature rosewood fretboards are usually made of two parts/types of wood. The nut and the back neck can be various types of woods, with the rosewood layered on the fretboard. There are two types of rose wood, the Indian (most commonly used) and the Brazilian (very limited and rare today). Most guitars today have the Indian rosewood featured on their fretboards. It has a very dark brown color similar to chocolate or coffee. The Brazilian type doesn’t feature on guitars after the 60’s, since it’s been banned for cutting, exploitation and commercial use. It has a lighter brown hue, close to the caramel nuance. The owners of a guitar with this type of rosewood can be considered lucky and should be proud of their instruments. Rumor has it that this characteristic also increases the value and prestige of the instrument on today’s market. The soft, warm sound and rich balanced tones, plus the natural feel of this neck when played is the preference of guitarists that look for balanced tone and sweet highs. The fret surface is bare wood – thanks to its composition and oily textures and grains it doesn’t need any lacquering or coating. 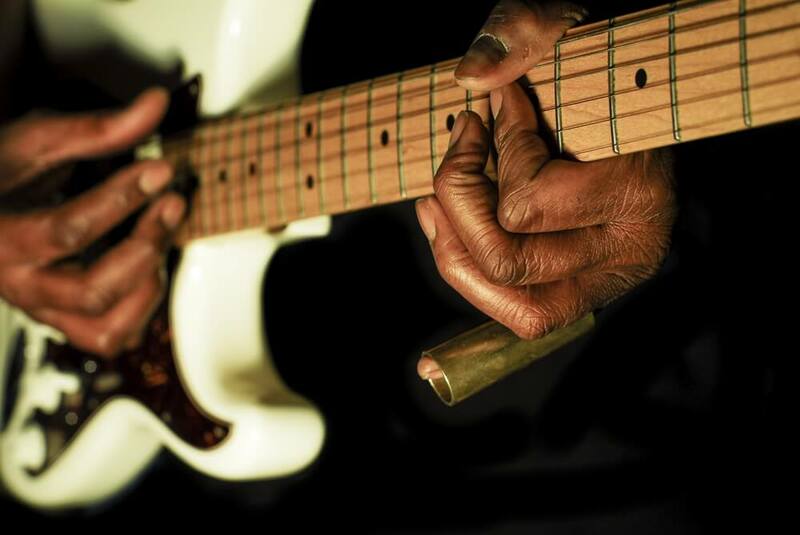 This makes the playing experience warm, organic and natural to the hand and fingers. Maple necks are made from one piece entirely, unlike rosewood, which is layered on top of another type of wood. The color is a much lighter yellow-brown hue. Maple necks are popular in iconic guitars such as the popular Stratocaster and Telecaster from Fender. Its pores are finer and the grain patterns are thinner. It is found in USA and Canada and has a big density and hardness. Depending on the tree where it’s cut from, its nuance can turn almost white, making a beautiful contrast with a dark body and inlays. The entire neck is usually coated and sealed with lacquer or polymer based substances. The fretboard can have a light layer embedded in the wood, or thicker layers that make it shinier and change the way it feels to the hand playing and sliding. Unlike rosewood, the maple board will damage and far more easily. That’s why protective layers of various coating are added. If these wear out, it can tarnish, get dirty and get an old, overplayed look. However, you will have to play it for years for these signs to take effect. Some guitarists enjoy this process, as an indicator of experience, while it also makes the instrument look more vintage and aged. As for sound and tone, maple will offer tight bass notes, great sustain, brighter sound and sharp highs. Most guitarists characterize this as being reflective and neutral. Great note definition/clarity, especially with distortion, bright, sharp highs, punchy and snappy tone. How do I choose a fretboard type? The best way to choose a fingerboard is to try it for yourself ultimately. Go to a music shop try a few guitars, see how the guitar feels in your hands, how comfortable you are and how fast/easy your fingers move on the fretboard. Since you’ll be stuck with it for a while, choose carefully based on sound playability and your personal playing preferences and the music you like. Consider factors such as aspect, the long run aging and transformation, and maintenance requirements explained above. Don’t rush if you’re undecided, especially if you want to make a big investment. You don’t have to purchase an instrument right on the spot you can wait a few days or a week while you go through various music shops ask around and collect information, thus educating yourself in the matter and making an informed choice. If you’re new to guitars and don’t have experience in trying different gear instruments and necks, your ear might not be formed enough to hear the subtle differences between the two. However, in time you should be able to tell which is which, so based on our description, consider which type of sound you would like to have in the long run. 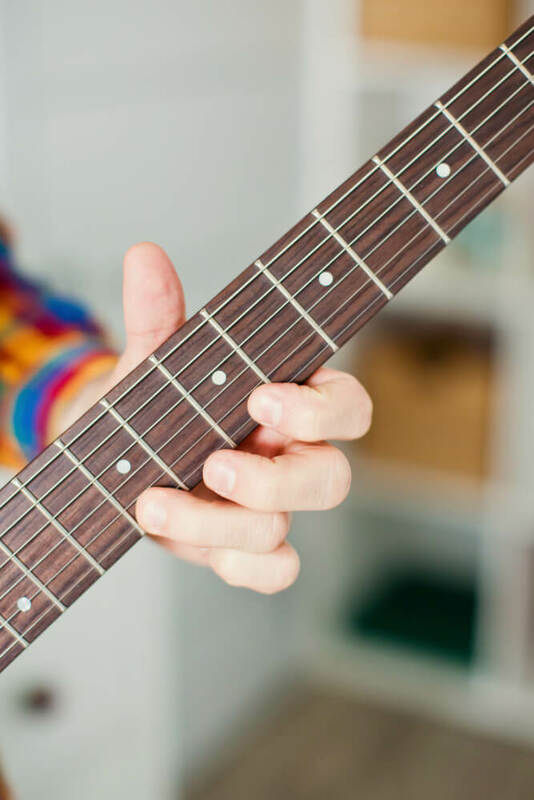 As stated above, the components should make a unitary whole on a guitar, so be aware that the fretboard is not the only part responsible for the sound and playability. When manufacturing a guitar, luthiers consider every aspect and try to come up with a balanced combination that makes for a great instrument.